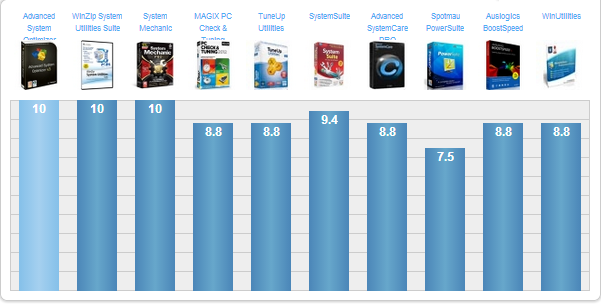 Advanced System Optimizer is one of the best PC system utilities on the market today and our TopTenREVIEWS Gold Award winner. It excels at maintaining the performance of your system by repairing errors in the registry and on your hard drive, protecting your system and privacy, and optimizing sluggish system processes. We appreciate that this application has an easy-to-use interface which is loaded with features that are both user-friendly and extremely functional. 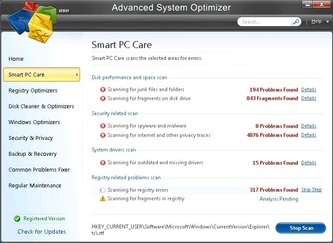 If your computer is having problems, Advanced System Optimizer likely has the tool that can fix it. 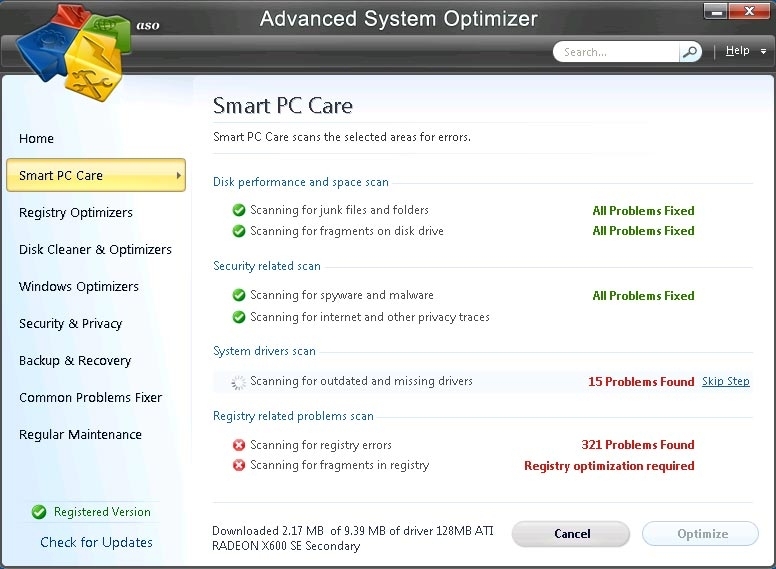 Advanced System Optimizer provides many tools to diagnose issues and maintain your computer's performance. 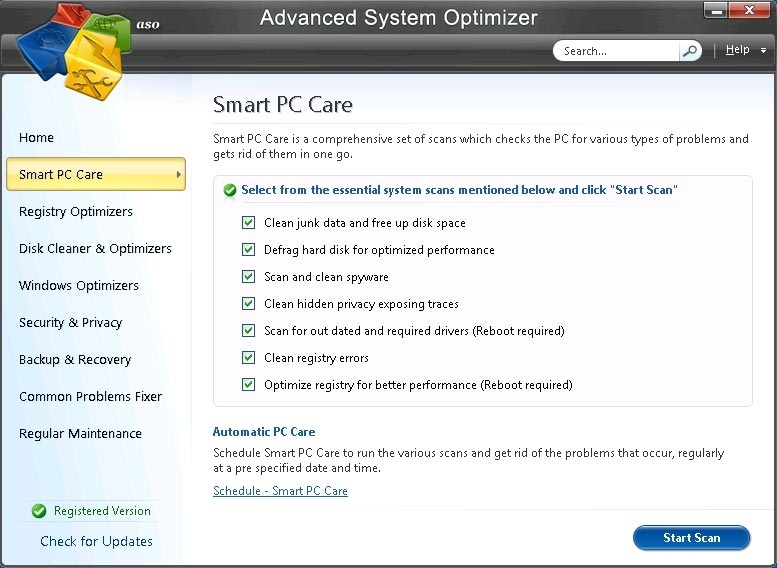 Smart PC Care is one of these features. 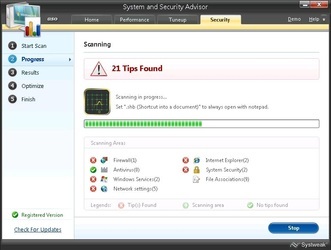 It combines several PC system utility features into one computer-scanning engine for the user's convenience. With the click of just one button, this tool erases junk data, defragments your hard drive, removes spyware and privacy traces, repairs and optimizes your registry, and updates device drivers. While you could perform each task using a handful of tools, it’s very helpful to have these functions in one place. 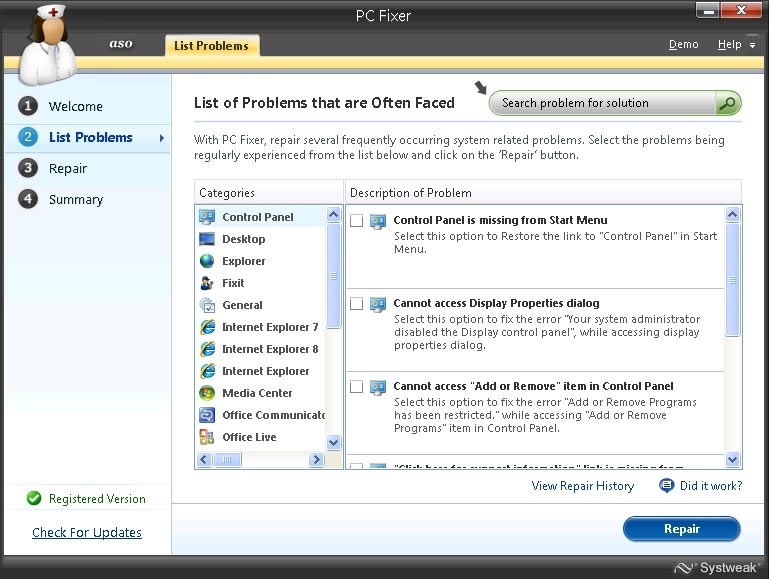 The Common Problems Fixer tab in this PC system utilities application includes features for fixing standard issues your computer might have, including fine-tuning your system, optimizing security settings and locating duplicate files. 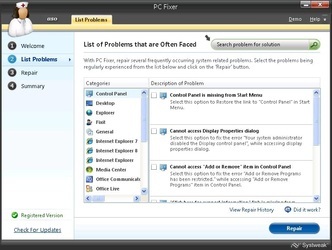 The PC Fixer identifies problems your computer might be dealing with and presents you with possible solutions. Think of it sort of like a troubleshooting guide. Your computer might not currently be suffering from any of the issues the PC Fixer can identify, but it’s good to understand how to solve them because they will inevitably come up. Other features of this PC system utility work together to identify and solve security concerns. The System and Security Advisor feature gives advice on optimizing the system and security settings that can eat up a lot of system resources. The System Advisor portion of this feature checks your display items and system settings to identify security vulnerabilities, while the Security Advisor covers Windows services, network and Internet Explorer settings, system security options, file associations, and firewall and anti-virus applications. Together, these tools spot settings that aren’t crucial to the operation of your system, so you can implement the recommendations without having to worry about crashing your system. The Regular Maintenance tab displays tools for updating your system’s device drivers, managing which applications will open when your operating system starts up, uninstalling applications you no longer need, and scheduling the system scans that Advanced System Optimizer performs. In the Disk Cleaner & Optimizers tab, there’s a feature that studies the files and folders on your computer to determine what’s consuming the most hard drive space. With this feature, you can identify larger files and delete them to free up space on your hard drive. However, we recommend that you ascertain whether the files you’re deleting are important to the functionality of your operating system before you delete them. This application also offers a driver updater, an essential feature of PC system utilities because out-of-date device drivers are a major cause of reduced system performance. Device drivers help your hardware communicate with your software. If your hardware has out-of-date drivers, they won’t communicate with your software like they once did. The driver updater goes directly to the manufacturer's website for each piece of hardware and figures out if they’re offering new versions of their drivers. Advanced System Optimizer’s Registry Cleaner scans 14 categories of registry keys to pinpoint invalid or erroneous entries. 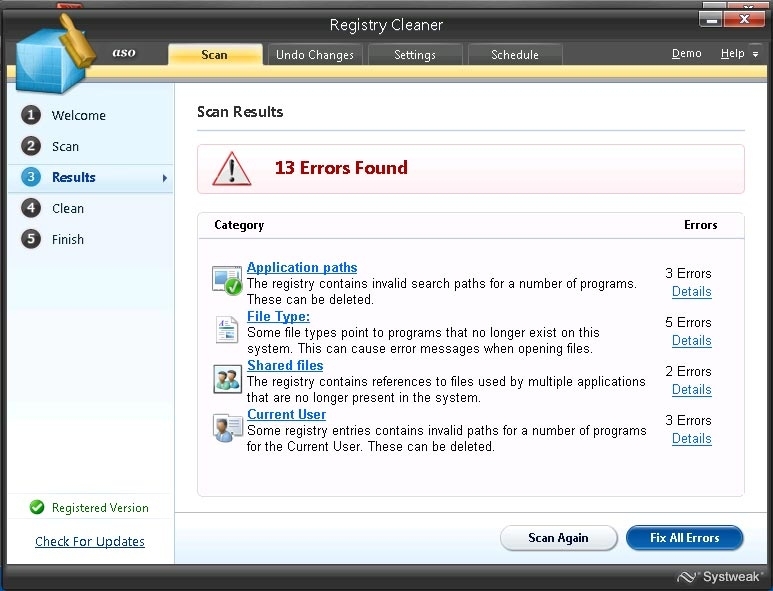 An error-filled registry can result in many different computer performance issues, like an increased amount of error messages and decreased system reliability. This feature eliminates many common registry errors, ensuring that these errors won’t affect the performance of your system. 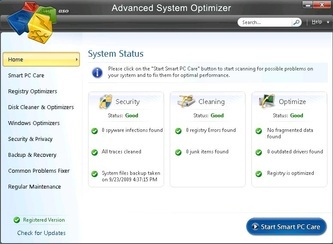 Advanced System Optimizer’s registry cleaner was the most effective among all the PC system utilities we reviewed. The Disk Cleaner & Optimizers tab has tools that fix errors in your disks, as well as tools that get rid of files and file fragments cluttering up your hard drive. System Cleaner looks for files you don’t need any more, such as files that have been left unused for a while in temporary folders. It also tracks down empty folders that stuck around after old applications were deleted. 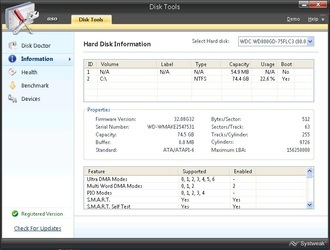 Disk tools can be set to perform an analysis of your disks every time your system starts up to unearth any errors. If these errors were to go unfixed, they would likely result in serious computer problems like loss of data and hardware failure. If you're looking for PC system utilities to protect your system and privacy, there are the tools to do just that in the Security & Privacy tab. 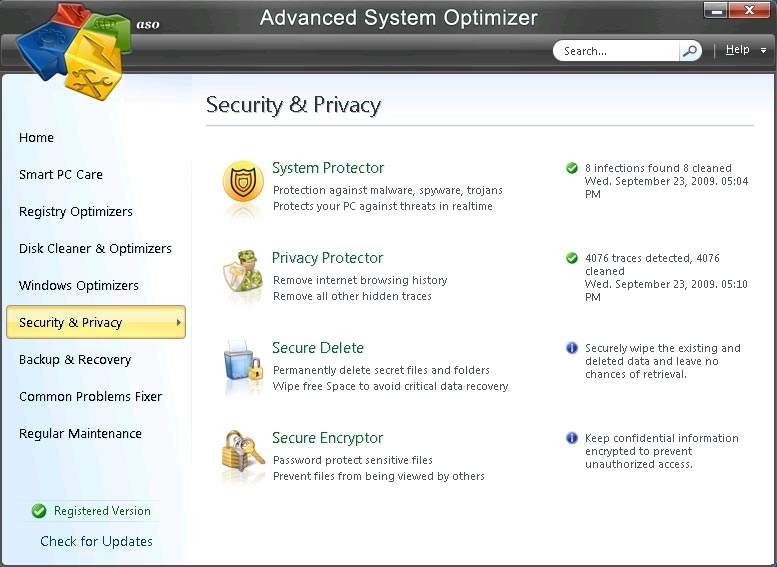 System Protector detects spyware threats and separates them from the rest of the files on your hard drive. Once these threats are eradicated, this PC system utility ensures they don’t come back by using shields that protect your operating system from being changed without your permission. It also guards against security breaches from your internet browsers and the unauthorized installation of browser helper objects. What you do when you’re on the internet can tell identity thieves a lot about you. Plus, we’ve all filled out forms that disclose sensitive personal information more times than we can count. Traces of your internet activity remain on your system until you delete them, and these traces are available to anyone using your computer or eavesdropping via spyware. Privacy Protector searches for these traces in internet browsers, Windows, instant messaging applications and Microsoft Office. While some of these traces make browsing more convenient for you, we recommend using PC system utilities like this one to clear them out occasionally, reducing the risk they pose to your privacy. When you delete files from your hard drive, you can recover them until the space they once filled is overwritten. This means anyone with access to your computer can access the personal information from files you thought were deleted forever. The secure delete feature allows you to delete files as you would normally, and it also wipes the free space they used to take up. The most powerful data recovery tools fail to recover files that are deleted with the secure delete feature. For even more security, the secure encryptor feature allows you to attach a password to important files to prevent anyone but you from viewing them. If you want to recover a file you accidentally deleted, you can do so with the Undelete feature in the Backup & Recovery tab. This feature can recover files, folders and data from deleted partitions. You can also see the files you thought you deleted, but which are still on your hard drive. 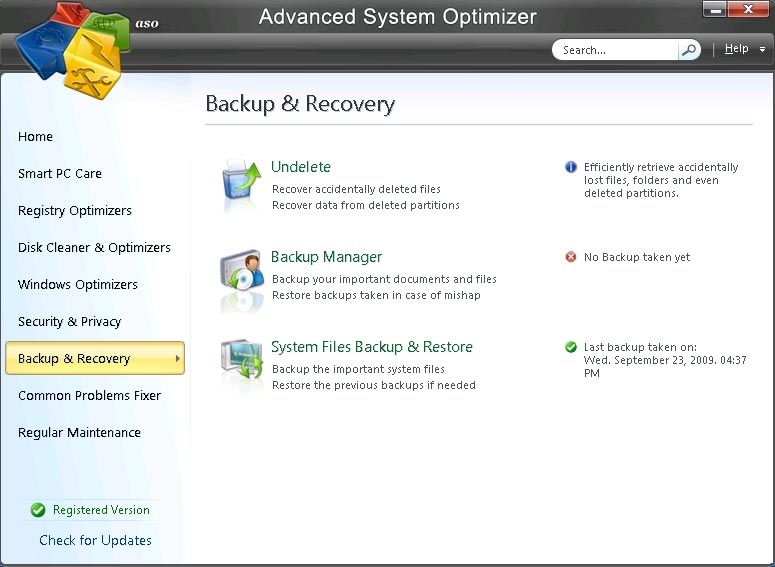 Backup Manager and System Files Backup and Restore create backups of important personal and system files. If your system somehow loses its data, you can restore the files you need from the backups you’ve created. Registry keys are deleted and added to the registry several times during a day. Sometimes there’s no registry key to replace the deleted one, leaving a fragment in the system’s registry. A fragmented registry causes just as many problems as an error-filled one. Registry Optimizer evaluates several sections of the registry to determine if they’re at their optimal size. It defragments the parts of the registry that are highly fragmented, reducing the overall size of the registry and improving its response time. The same thing that happens to the registry can happen to your hard drive as well. If you install and uninstall many applications, we recommend you defragment your hard drive on a regular basis. Disk Optimizer analyzes and defragments your hard drive much faster than Windows’ disk defragmenter and similar features found in other PC system utilities. Plus, you’re able to accomplish other tasks on your system while it’s running. Game Optimizer caters to the growing number of individuals who play video games and is a unique feature that we didn't find in other PC system utilities. Current video games require a lot of system resources, which are difficult to come across if you have several applications running in the background. This feature creates a virtual desktop for the sole purpose of running your game. It also allocates the maximum amount of memory to increase your game speed, and it lets you replace default keys with keys that you define. With this feature, you won’t have to worry about other applications slowing down your game. Memory Optimizer tracks your amount of total, available and used memory, as well as how much memory is left in your system and peak cache. You can also see what’s available in the page file. The Memory Optimizer allows you to manually adjust how much memory the feature frees and how fast you want the memory graph to update. While the manual adjustments are useful, this software also allows you to automate memory optimization. When your memory falls below a certain level, auto optimization will work to free additional memory. The feature can also be setup to optimize memory according to CPU usage patterns. When this option is enabled, this PC system utility will not optimize your memory when usage is very high. Advanced System Optimizer is one of the easiest PC system utilities to use. The interface is structured to make sure users can easily access all its features. The features themselves are laid out in a step-by-step format with each step clearly explained. We liked that you can attack problems from several different angles with this application. 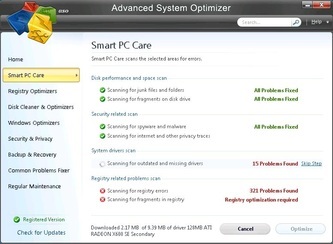 The Smart PC Care feature incorporates this utility’s best features into a single function, eliminating the need to use multiple tools to get the job done. In fact, you might not even go past this feature during most of your uses of this utility. Systweak has a knowledge base and a frequently asked questions section on their website filled with information about PC system utilities in general, and Advanced System Optimizer specifically. You can also download software updates and sign-up for a free newsletter to stay informed about everything Systweak-related. If you can’t find the answers to your questions on the website, you can fill out a contact form or send them an email. Systweak also features email addresses for sales questions and general inquiries. Their promised response times range anywhere from three to six hours. 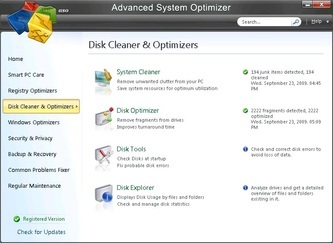 Advanced System Optimizer Version 2 was launched in the year 2004. Its tremendous success and feedbacks of more than 1 million users have really made the version 3 of Advanced System Optimizer state of the art product. 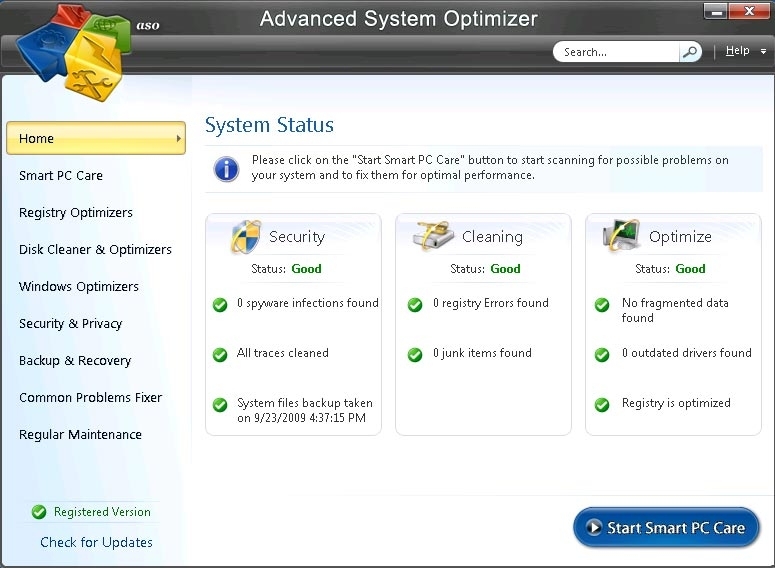 It includes the most comprehensive set of utilities which will keep your PC running smooth, clean and error free. 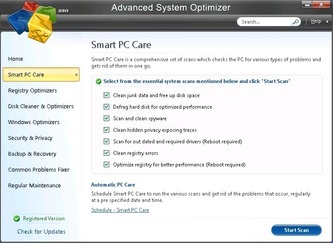 Smart PC Care feature of Advanced System Optimizer is aimed at carrying out multiple tasks with ease. Several tasks like junk file cleaning, registry cleaning, disk defragmentation etc. can be accomplished through a single click. This not only saves time but also makes the process of performing multiple tasks a breeze. Game Optimizer provides you with a private virtual desktop that’s completely free of distractions – no music, no instant messaging, no other apps running except for your game. What’s more, Game Optimizer actually reallocates system memory, guaranteeing that your game will have plenty of resources, and ensuring that your gaming session will be free from plummeting frame rates, stuttering audio, and all of those other annoyances! Driver Updater takes all of the tedious work out of keeping your system’s drivers up to date! By scanning your system, Driver Updater is able to automatically download and install the latest updates for all of the drivers for all of your components. Of course, you’ll be presented with a summary of all of your outdated drivers before Driver Updater goes to work – just select those that you want to update, and click! 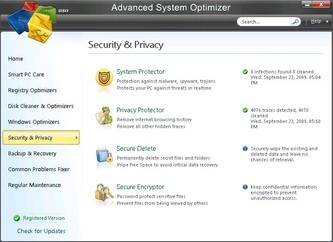 System Protector continually monitors the processes that are running on your PC for evidence of spyware-related activity. Using artificial intelligence, System Protector is capable of identifying, detecting, and cleaning malicious threats quickly and efficiently before they have an opportunity to do their dirty work. Disk Tools performs diagnostic tests on your hard drive, informing you of any problem sectors and attempting to salvage any readable data that it finds in those bad sectors. Think about it - you may just think that you've lost an important file to a bad sector, but with Disk Tools, you may still be able to get it back! Backup Manager lets you create different backup profiles, or jobs, each of which can be used to back up and restore specific files and folders. For instance, you could create one backup job to back up your photos, and another to back up your music, and yet a third that would back up a larger portion of your hard drive. All of your backups can be stored as space-saving ZIP archive files. Once you create a backup job, you can re-run that job at any time. 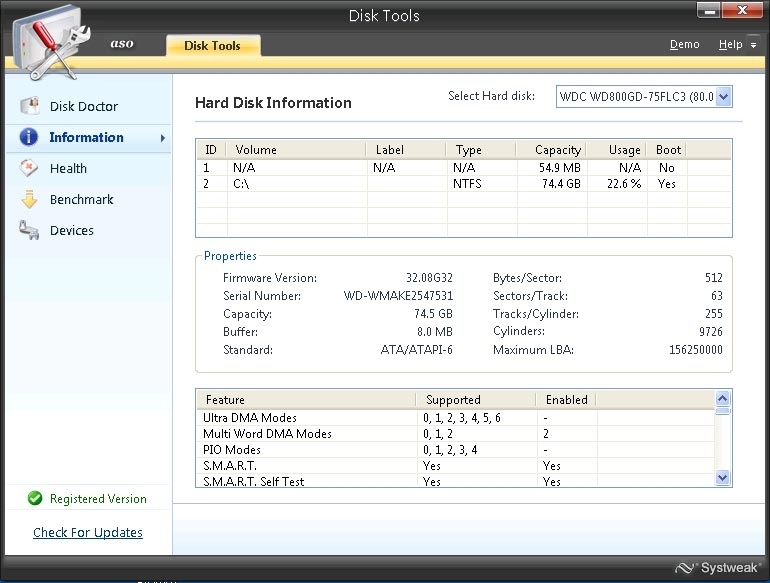 Restoring data from backup is as easy as a few clicks. PC Fixer scan your system, and it will present you with an easy-to-read summary list of common issues that negatively impact system performance and your user experience. The PC Fixer job list is sorted by category for your easy review - just click on a category like 'Control Panel' to see PC Fixer's recommended list of action items. Plus, if you're looking to fix or optimize a specific area, like your display settings, PC Fixer lets you search for specific items by keyword! 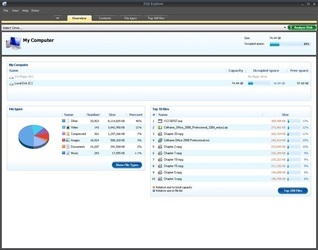 Disk Optimizer solves the problem of data fragmentation, bringing a renewed level of responsiveness to your applications and reducing the time it takes for your computer to boot! With Disk Optimizer, all of the fragments of data are rearranged back to a sequential order on your hard drive, greatly improving data access times. Whenever you're experiencing sluggish application response times, slow boot and restart cycles, and a general decline in system performance, it's time for Disk Optimizer! 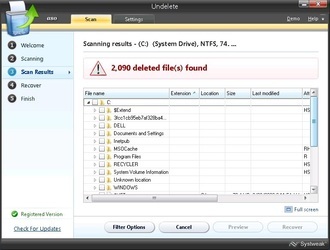 Undelete scans your entire system for deleted files and folders, giving you the opportunity to recover them as if they never left! 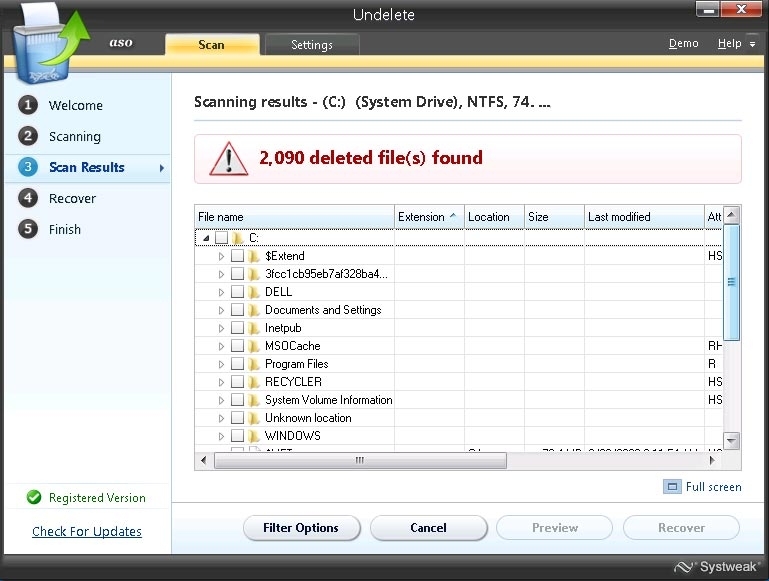 Hard drives, partitions, external devices, even CD and DVD drives can be scanned for recoverable files by Undelete. You even have your choice of scan – just the Master File Table, for a quick scan, or a deeper scan which performs a sector-by-sector scan of the hard drive for file signatures. 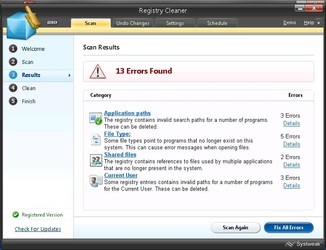 Registry Cleaner finds and removes unnecessary and invalid entries in your Windows registry, reducing system response time and minimizing the risk of problems when installing new software applications. 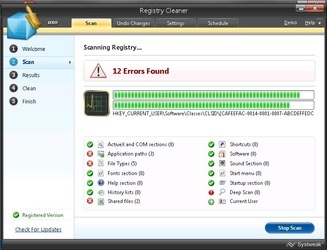 By ensuring that your registry contains only those entries that are necessary to support currently installed hardware and software items, Registry Cleaner reduces the likelihood of data corruption due to conflicting registry entries. Registry Optimizer builds a fresh copy of the Windows registry using information contained in your existing registry. In doing so, Registry Optimizer supercharges your system's performance by removing fragmentation, gaps, and deleted registry entries. The result is a cleaner, leaner registry that takes up less disk space and consumes fewer memory resources. System Cleaner is specifically designed to identify these junk files that threaten to destabilize your system and compromise your identity. With System and Disk Cleaner, you are assured of the complete removal of these files, which are often missed by other utilities available in the market! The Disk Explorer utility features a Windows Explorer-style interface that displays all of the available drives on your system on the left, and all of the folders contained in the selected drive on the right. 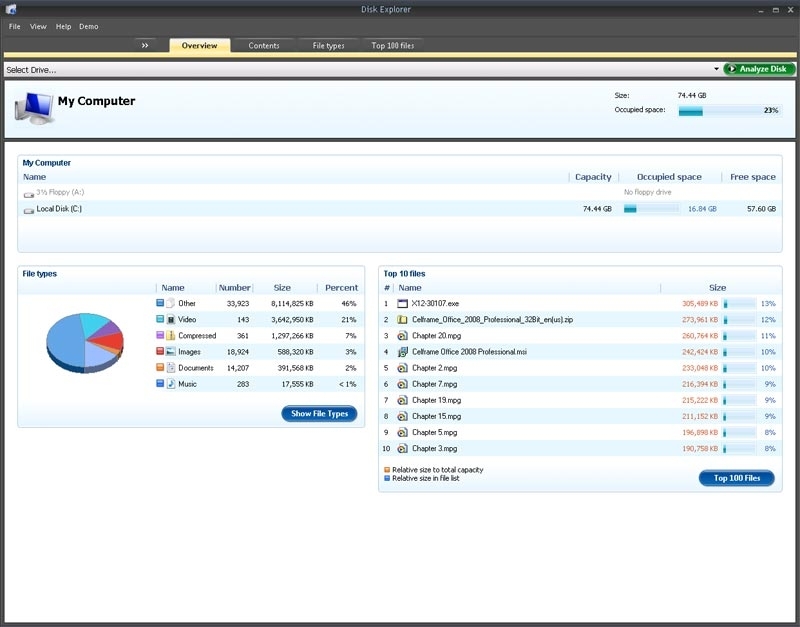 With the intuitive pie chart graphic, you'll be able to see, at a glance, what types of files take up the most space on your disk. Have you ever wondered how much of your disk space is taken up by music files? With Disk Explorer, this is no longer a mystery! Want to clean up your drive and free up some space? Disk Explorer provides you with a handy list of the 100 largest files on the drive. Uninstall Manager is the easy way to review and uninstall applications from your system! With Uninstall Manager, you'll be provided with a complete list of all of the programs that are installed on the system, their descriptions, file sizes, and date installed. It's all the information that you need to make an informed decision whether to keep or remove a program. Memory Optimizer resolves the most common causes of system crashes and application freezes! Memory Optimizer’s colorful and intuitive memory graph shows you, at a glance, your total memory, available memory, used memory, and the resources that are used by the system cache. 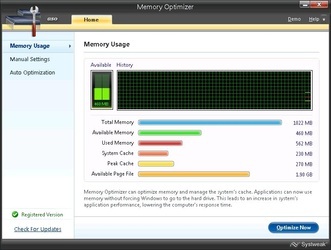 By constantly monitoring your system, Memory Optimizer is able to reclaim valuable memory resources, making them available for your applications and ensuring the continued health of your operating system. Applications will perk up, running faster and with greater stability. You can even specify how much memory Memory Optimizer should reclaim each time it runs, tailoring the memory allocation process to the way that you work! Privacy Protector addresses this issue head-on! With Privacy Protector, your confidential information, including all traces of your usage history, is completely and securely erased from your machine. 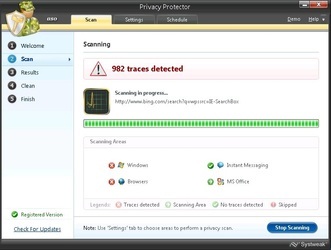 Not only does Privacy Protector minimize the risk of identity theft, it also improves your system performance by removing files that take up disk space and consume resources. Secure Delete keeps the privacy and security of your system intact. By implementing a secure deletion method developed by the United States Department of Defense, Secure Delete ensures that no tool can ever recover your deleted files and folders! 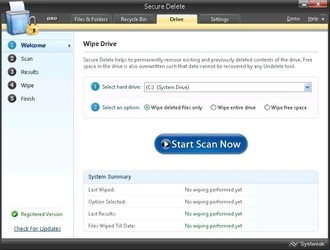 By using Secure Delete to securely remove your sensitive files, deleted items are permanently removed from your system. Secure Encryptor allows you to encrypt your programs into a format that’s unreadable to anyone who doesn’t have the decryption password! With Secure Encryptor, you don’t even have to worry if someone copies your most important files – in their encrypted form, they are all but useless. 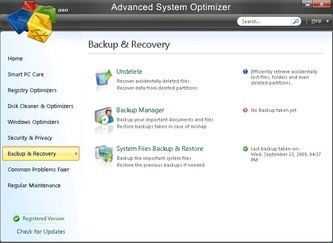 System Files Backup and Restore ensures that you’ll always have a working backup copy of your Windows system files. In fact, using System Files Backup and Restore, you’ll be able to maintain multiple copies of your system files from several different points in time, giving you the power to roll your system back to a specific date, before you were struck with the virus or file corruption. It’s a good idea to take a monthly snapshot of your system settings, or to create a backup before installing a new piece of hardware or software. System and Security Advisor is a unique tool that quickly scans your computer and provides you with helpful tips to improve your experience. With a single click, you'll be able to improve your system's performance by identifying the system settings that consume the most resources. The utility will also make recommendations on how to improve your system's security. Duplicate Files Remover thoroughly searches your hard disk and removes all duplicate files from your system, freeing up valuable disk space and increasing the efficiency of your file system. Startup Manager is your key to effortlessly managing Windows Start-Up programs. Using the intuitive Explorer-like interface, just add the applications that you want to load when Windows boots, or review your existing Start-Up items to see if any can be removed. If you aren't sure about a specific item, you can also use Startup Manager to temporarily disable it to see the affect on your system. Startup Manager displays helpful descriptions of each of the items in your Start-Up programs list. 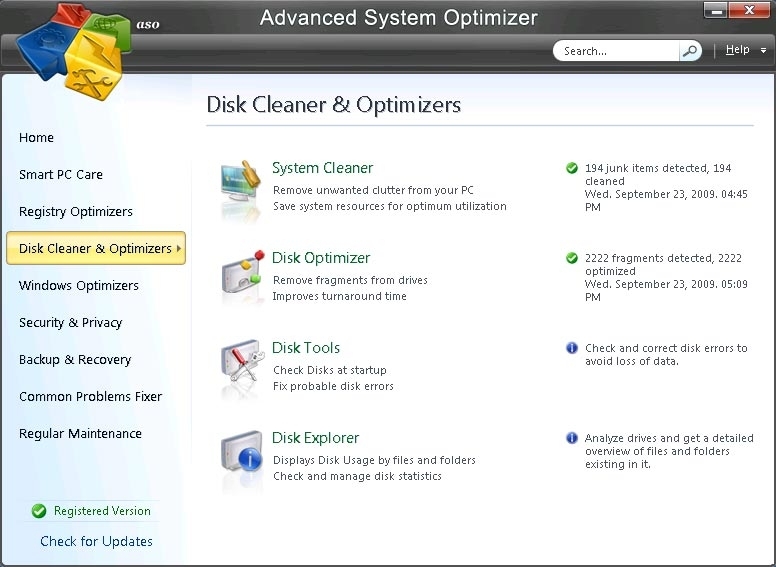 Advanced System Optimizer has numerous features and an easy-to-use interface. The wealth of features could be overwhelming to new users. This application is the most effective and efficient system optimization tool. When it comes to PC system utilities, Advanced System Optimizer is a comprehensive application, offering tools to fix most problems affecting computer performance. Beginners will have an easy time using this application because its interface makes the process of repairing your computer easier than most PC system utilities do. Every feature is self-explanatory, and each is also among the most powerful of its kind. With such a robust and useful feature set, Advanced System Optimizer is the be-all, end-all computer maintenance solution.